Was she meant to be Amish or would she have been better off growing up with her own kind -- Englischers? When the man she loves leaves her behind, Rose is certain he left for good. Yet Rose discovers sometimes our greatest gifts are the ones we fear. 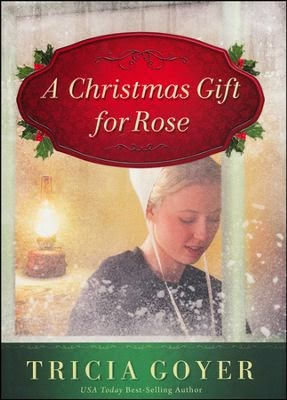 Enter to win a hardcover copy of A Christmas Gift for Rose, by Tricia Goyer, through the Rafflecopter form below. This giveaway is open to U.S. residents only and ends at 11:59 PM EST on July 31, 2014. 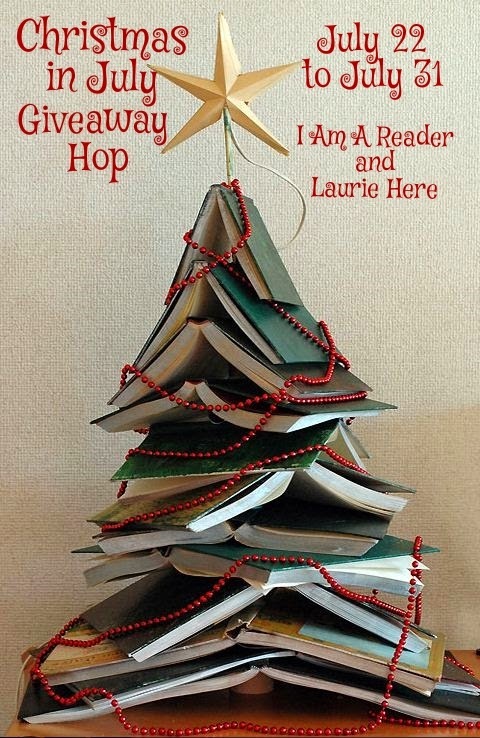 Now hop around to the other blogs participating in the Christmas in July Giveaway Hop for the chance to win more great Christmas-themed books! I answered on another blog that I didn't have a favorite Christmas book and I don't BUT I have two favorite "winter" books - Katy and the Big Snow and The Snowman. My favorite Christmas memory would be spending time with my cousins who live in San Diego and they came and spent the night with us and remembering good times with family. I remember one Christmas where my parents bought us wood cribs for our dolls and put new dolls in them. My favorite Christmas memory is the food. So much food! My favorite Christmas book so far is Skipping Christmas by John Grisham. Thanks for having the giveaway. My favorite christmas memory is when my daughter gave me a kitchen aid stand mixer. Making Christmas sugar cookies with my mom while decorating the Christmas tree. My favorite Christmas memory is the year we did a photo thing where it looked like Santa had been in our house. My grandson was amazed. Favorite memories are all the children, grand children, and now great grandkids opening the presents, eyes wide-open with the lights and decorations!!! My favorite Christmas memory would be the year we bought our 2-year old grandson a riding toy. As he unwrapped the package, he couldn't wait, so he climbed into the partially unwrapped package and sat down on the toy. My favorite Christmas memories are waking up, as a child, to a HUGE stack of presents for me and my 4 siblings....we were poor, but I never knew that! I remember the year our very young daughter received a Samantha American Girl doll for Christmas. She was speechless she was so pleased! One year my parents bought my sister and I new bikes. It was a big sacrifice because my dad didnt work much that year. My favorite Christmas memories involve my great aunt (Moster Johanna) playing with us. I remember the whole family, including aunts uncles and cousins gathering at my house on Christmas day for a huge dinner. We always traveled to the mountains to cut our own Christmas tree. The tree was always beautifully imperfect (one year we had to wire it to the ceiling to keep it from toppling over), but it was OUR tree and we loved it. Favorite memory. The first year my husband and I was married in 1976 we didn't have any money to buy gifts. He surprised me with a used black and white TV, and no, we didn't have a TV prior to that. My favorite Christmas book is The Night Before Christmas. I have wonderful memories of Midnight Mass. Any Christmas growing up is favorite because it was spent with family. My favorite Christmas book is all Debbie Macomber's christmas books.Thanks for the giveaway. So enjoyed Christmas Eve at Grams. My favorite memory is the year that my son shoveled walks to buy us a tree. He was 10 and I was ill and confined to bed. He and his 6 yr old sister put up the tree and decorated it. The Christmas Shoes is my favorite Christmas book. Oh! This looks like a good one! I'm looking forward to it! When I try to think of a favorite Christmas I always go back to memories of being surrounded by cousins and playing hide-n-seek in the dark. This past Christmas may just take the cake. My family has had a hard year with three deaths, two were aunts by marriage and my uncle 6 weeks before Christmas. My disabled uncle who lost his wife last summer has moved in with my parents. He divorced his first wife and his kids completely cut him off and went with her. Through Facebook, after about 18 years of not seeing nor hearing from them, I found them. We spent a lot of time chatting both online and over the phone. I spoke with my cousin right before heading home for Thanksgiving. Before I arrived at my parents four hours later, he had called his dad. They chatted for the next four weeks. In a last minute decision he decided to drive across the country to spend Christmas Eve with our family. My uncle didn't have any idea what was going on when I walked in the house with my long lost cousin beside me. It had been 20 years since most of us saw him. He was a welcome sight that made our Christmas awesome. My favorite memory is my dad and uncle taking my cousin and me to the Kooky Cooky House. Each year there was a line of children with their parents standing in the snow to wait to go see Santa and get a gingerbread cookie that the elves made. It was such an innocent time to watch through the windows and inside. Also special memory because my dad died when I was ten. 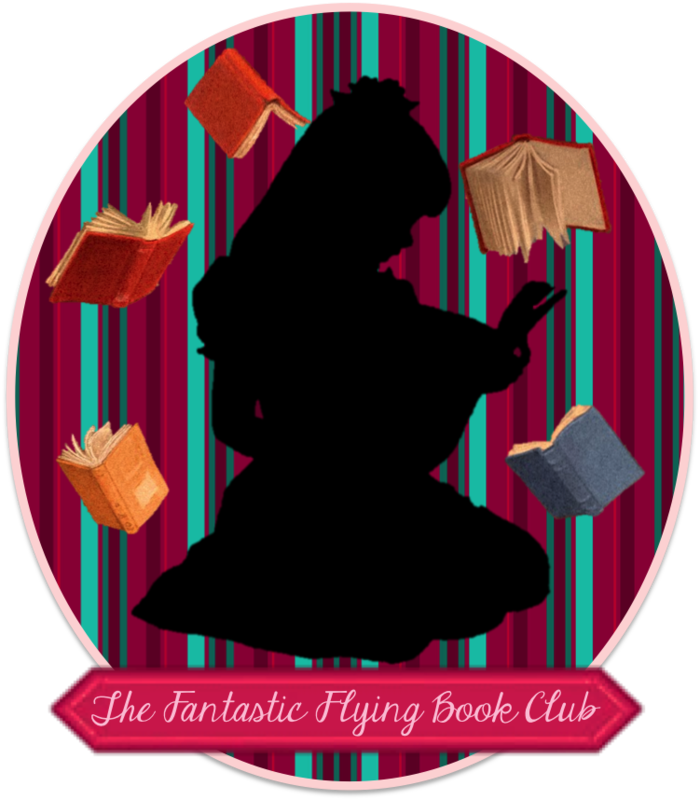 My favorite book is A Christmas Carol, I read it every year!! A Christmas memory is spending time with my family. I like A Christmas Memory by Truman Capote. My favorite christmas story is The Polar Express. It is a classic, The Night Before Christmas. If I close my eyes, I can almost hear my Dad reading it to us thru the years. I enjoy eating Christmas Dinner with my family. I remember when I was little asking my mom for a dog for Christmas. I snuck downstairs in the middle of the night and found the box I believed contained the dog...I was so worried that my mom didn't poke holes for the dog to breath, that I poked holes right through my new barbie container lol. My favorite Christmas book is A Christmas Carol by Charles Dickens. Thanks for the great giveaway! I always love going to family Christmas gatherings. One of my favorite Christmas books is The Night Before Christmas. Growing up my cousins and I use to get together and decorate Christmas Cookies at my Gramma T.'s house. One year she let my sister and I eat our cookies before we ate our dinner! It's a memory that always makes me smile! Back in the 70's we called my dad the Toys R Us kid, then the commercial came out. My dad's favorite holiday was Christmas and he made sure we enjoyed it, even though we didn't have a lot of money. When I got my first 10 speed for Christmas! I thought I was the coolest kid on the block! !